Maliit (also known as Meego Input Methods) has the following overall goal: “to be the input method project for MeeGo and other GNU/Linux-based embedded/mobile platforms”. This initial video shows Maliit running in Gnome 3, and demonstrates some of the very basic features provided by Maliit and the standard keyboard shipped with it. The demo is done on a WeTab tablet running a standard Fedora 15 Beta, with the latest Maliit software installed. Jan Arne Petersen is working a bit on Fedora packages, so hopefully it will soon be easy to install for those who are interested. 0. Theming. 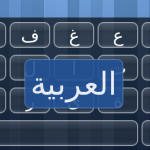 Using the theming support in the standard Maliit keyboard, it is easy to go from a mockup to ready implemented theming. This theme was based on the mockup from live.gnome.org (by Jakub Steiner I believe?) and done by Michael Hasselmann in a couple of hours. He also has a blogpost on how the theming system works. 1. 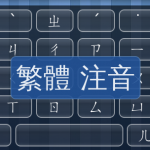 Typing text.This is of course the number one feature of an on-screen keyboard. There are some essential best-practice and some tricks used in Maliit to be able to get really good reponse time and typing speeds. I hope we will have some blogposts about that soon. Typing speed can be further enchanced by enabling multitouch support (not working out-of-the-box in Fedora due to missing support further down the stack), or by installing a prediction/correction engine. User feedback can be enchanced with audatory and tactile feedback (requires hardware and driver support obviously). 2. Different languages/layouts, and switching between them. Maliit comes with layouts for over 20 languages, tested and tweaked by usability experts. Latin, Cyrillic, Arabic and Chinese based scripts are covered. The layouts are defined by XML files, so one can easily change them if wanted. For more of the features offered by Maliit framework and standard keyboard, see the wiki page. If you are interested in improving Maliit, or its integration in Gnome 3 or other GNU/Linux environment, join the irc channel or mailing list. Next up; the importance and difficulties of input method integration on touch enabled devices. Copyright © 2019 Jon Nordby. All Rights Reserved.